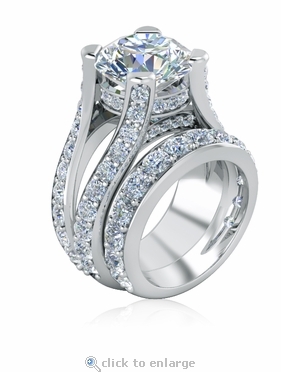 The Burke 4 Carat Round Cubic Zirconia Pave Set Cathedral Split Shank Wedding Set is an amazing bridal set with a stunning combination of elegance and beauty. 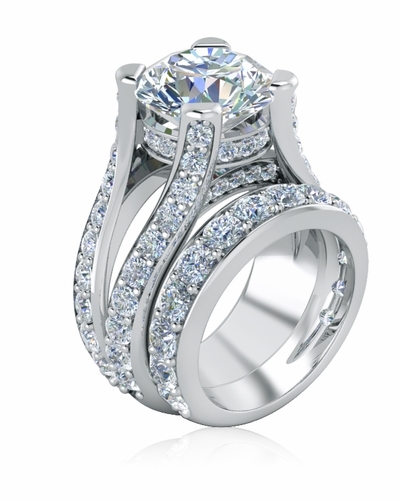 The solitaire engagement ring has a wonderful height and stature to it with its split prong setting that flows up to secure the round cubic zirconia center stone. The laboratory grown center stone is a brilliant 4 carat 11mm round simulated diamond cubic zirconia that is the finest hand cut and hand polished Russian formula cubic zirconia. 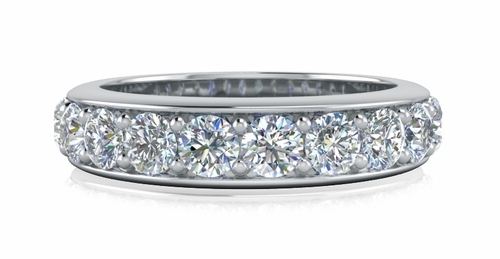 The solitaire and matching band is encrusted with pave set round lab created cubic zirconia stones. 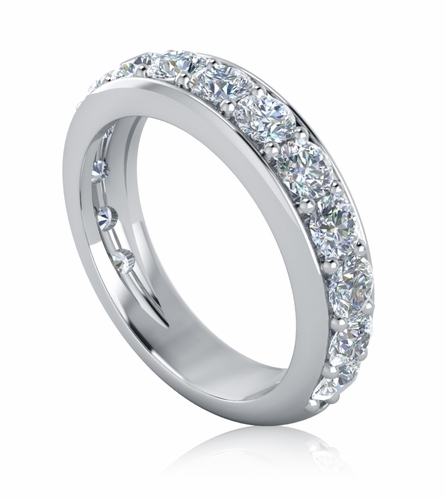 This ring is available in your choice of 14k white gold, 14k yellow gold or luxurious platinum, please see the pull down menu for options. 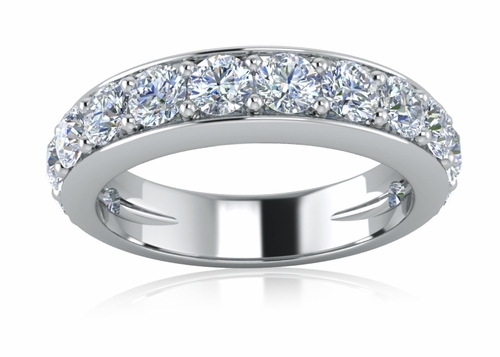 To purchase the solitaire only, please see item R1515. For further assistance, please contact us directly at 1-866-942-6663 or visit us via live chat and speak with a knowledgeable representative.